THE POWER OF THE BOATGOD! 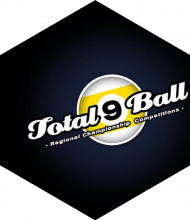 Paul Taylor FOUND FORM AT T9B ST.ALBANS TO TAKE DOWN E9! HE PLAYED CONSISTANTLY WELL THROUGHOUT THE DAY, WHICH HE NORMALLY STRUGGLES TO DO WITH SOME GREAT RESULTS TO BOOT. ANOTHER FULL FIELD OF 48 TURNT UP FOR YET ANOTHER GREAT EVENT!. JUST ONE MORE EVENT LEFT TO GET INTO CHAMPION OF CHAMPIONS 2017. 9 SPACES GO TO THE RANKING NOW TOO. 1 RACK SHOOT-OUT WINNER! WAYNE ROOKE. BOOKED THE PENULTIMATE PLACE IN CHAMPION OF CHAMPIONS 2017. DEFEATING Julian Roper IN THE FINAL!